Dark Hall Mansion is pleased to welcome leading contemporary artist, Yuko Shimizu, on for DHM’s latest officially licensed limited edition print release, “Batman Returns,” in partnership with Warner Bros. Consumer Products on behalf of DC Entertainment and available this coming Tuesday, May 31st! Dark Hall Mansion has had this project in development with Yuko for quite some time so it’s most gratifying to finally be able to share her unique vision with fans. 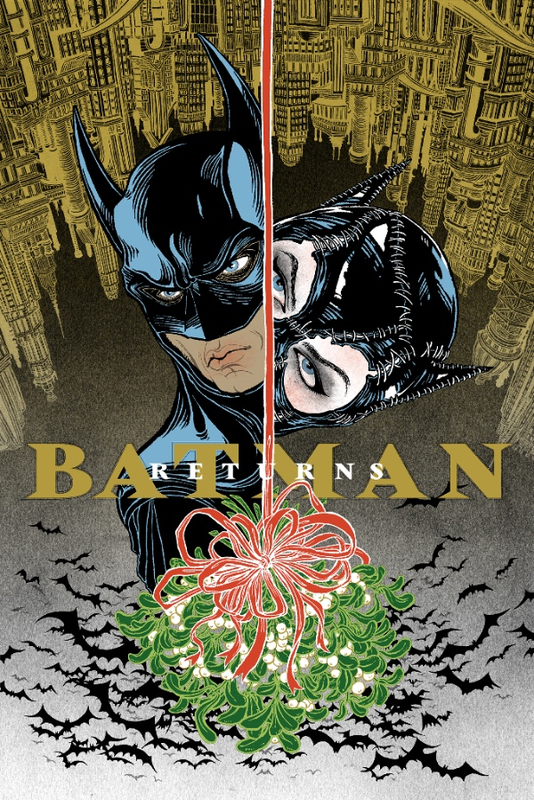 From the varied Batman films DHM offered it was “Batman Returns” that most appealed to Yuko as illustrator along with colleague, Claudia de Almeida, on as designer. 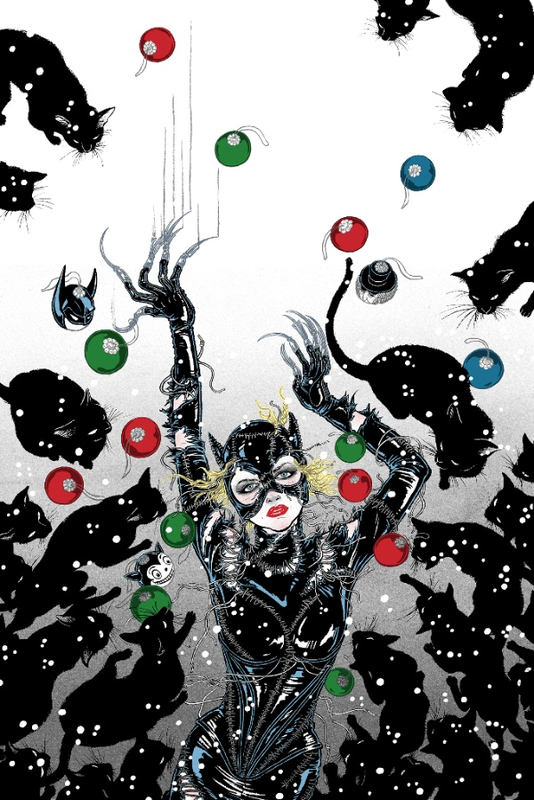 Yuko’s two striking individual prints offer a standard edition piece reflecting not only Gotham’s protagonists but its topsy-turvy, almost surreal world, along with Yuko’s striking variant edition which finds her favorite character from the film, “Catwoman,” surrounded by feline companions and a reference or two to characters fans will instantly recognize. Yuko’s meticulously detailed and highly stylized illustrations well compliment Claudia’s layout and logo design in creating two prints those same fans won’t soon forget. 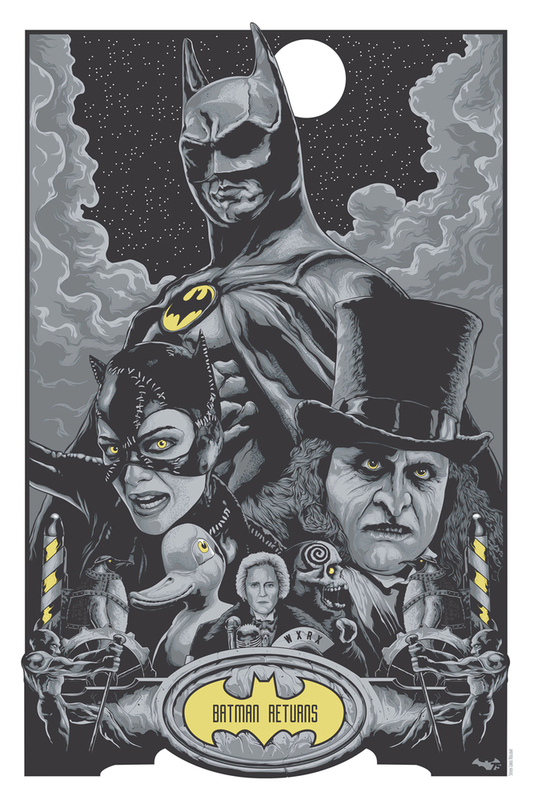 In addition to DHM’s “Batman Returns” standard and variant edition prints are two select foil editions where the foil substrate reveals itself within various areas of each print creating a select, dynamic, and reflective edition. All officially licensed Dark Hall Mansion limited edition “Batman Returns” prints go on sale this coming Tuesday, May 31st, at 12:30 PM PST on the dedicated store page HERE. Steven Luros Holliday is selling artist copies of his print. “Batman Returns” on his website and you can order them HERE for $30. The 20″ x 30″ five color print with a yellow glow-in-the-dark layer is available in limited quantities as a signed AP edition. Tomorrow, December 2nd at 12pm eastern Bottleneck Gallery will release a Nightmare Before Christmas print by Rob Loukotka and a Batman Returns print by Matt Ferguson.